You might see these errors if you're having a network connection issue or if your hard drive is running out of space. Here are 7 things you can try to fix the problem. It's also a good idea to free up drive space first before you try to fix the problem. 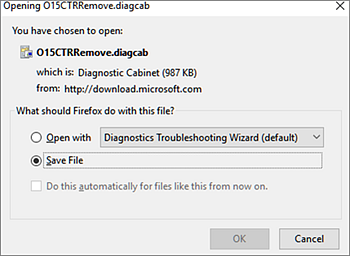 We’ve listed the most common solutions first so do the steps in order, starting with uninstalling and then reinstalling Office. For Windows 10, go to Free up drive space on your hard drive. 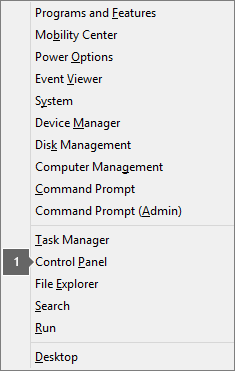 For Windows 8/8.1, go to Tips to free up drive space on your PC. For Windows 7, go to Strategies for freeing disk space. Use a wired connection to the Internet, if possible. If this doesn't work, try connecting at a different location, such as a friend's house or a wireless hotspot. 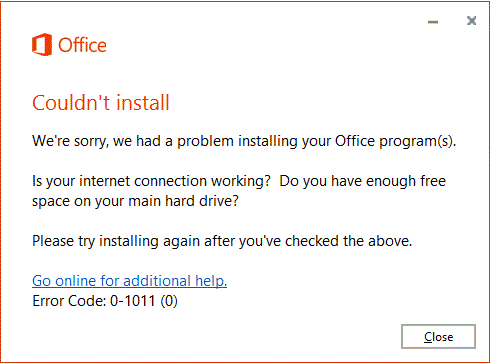 If you're trying to install at work or at school, the network might be limited in a way that won't allow Office to install. Your IT department might be able to help you handle these limitations. If not, you could also take your computer home to install Office. After it's installed, you'll be able to use it at work or school as if you had installed it there.